Hours spent manually tuning reactions may soon be a thing of the past thanks to a free and user-friendly computational tool developed by UK researchers. 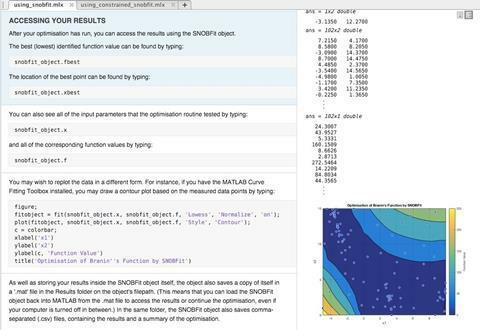 The software, developed by John de Mello and colleagues at Imperial College and the University of Southampton, translates reaction conditions into computer instructions for automated optimisation. ‘What we’re trying to do is get rid of some of the routine manual work,’ says de Mello. Their procedure could allow machines to use analytical feedback to handle experiments and liberate chemists to focus on conceptual problems and reaction design. Chemists can spend a long time manually adjusting and optimising reaction conditions. Automating this laborious process, however, requires writing this search as instructions for a machine. Reaction simulation and functional materials expert Charalampos Makatsoris at Cranfield University, UK, notes that there is a lack of methods for rendering a chemist’s desires as computer code. When chemists want to control more than one property, ‘this becomes a very complicated problem that has prevented progress in the field,’ he adds. This normally requires fundamental understanding of the interactions between the various parameters, and expertise in writing a bespoke mathematical function for optimisation. Instead, the software made available by de Mello’s team generates the machine instructions from user-defined minimum and maximum reaction condition boundaries and the target parameter for optimisation. ‘By rethinking it as a constrained optimisation problem, these procedures allow experimentalists to intuitively describe their target requirements that can then be mapped on to a function usable by self-optimising reactor systems,’ explains Makatsoris. De Mello’s team demonstrated the use of their software in a model optimisation problem: the sequential Diels–Alder cycloaddition of aromatic dienes to C60. Singly- and doubly-functionalised C60 adducts have properties important for light harvesting and electronics, while further addition hampers these properties. 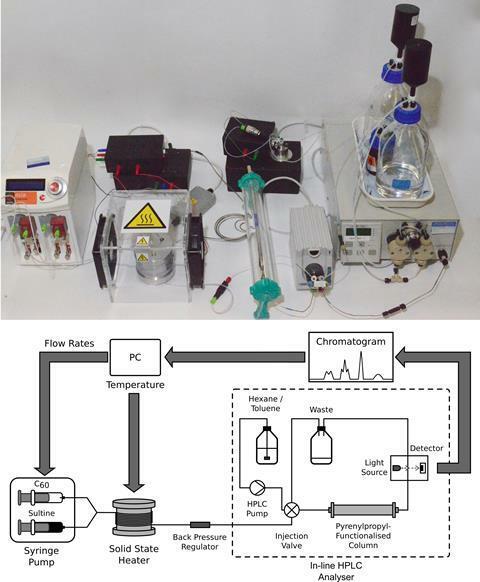 Using feedback from in-line chromatography, the procedure enabled a reactor setup to autonomously adjust the temperature, reaction time and reactant ratio until it maximised the amount of technologically useful adducts in the product mixture.